Anthony Anderson is a seminarian at Holy Apostles Semi­nary in Cromwell, Connecticut. 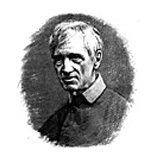 John Henry Cardinal Newman, the great pre­cursor and prophet of Vatican II, challenged the Catholic Church of his day with his ideas about the laity. He challenged laymen to sanctify both the temporal order and the Church. And he challenged the clergy to co-operate with and utilize the ener­gy, wisdom, and holiness contained in that vast member of the Mystical Body of Christ called the laity. Thanks to Vatican II many are now aware of the layman’s call to sanctity in the world and his duty to transform the world. But Newman’s chal­lenge still stands: There is still widespread misun­derstanding of the role of the lay person in the Church. Perhaps the greatest misunderstandings in re­cent years have come from the “left.” Vatican II has been used to clericalize the laity and laicize the clergy. But we must also avoid the equally hazardous overreaction of the “right.” For if wild innova­tion can damn, so can that cramped protection of the deposit of faith which keeps it from God’s peo­ple and prevents its implementation and legitimate development. Newman should be our ideal of that authentic orthodoxy which transcends liberalism and conservatism. And to better implement the teachings of Vatican II on the laity we should study Newman’s thought. After all, he has been called the “absent Council Father” and was cited during the Council with greater frequency than any other authority, including Aquinas. To fulfill his vision of a dynamic and holy Church, Newman wanted to change the role of the laity. He saw a divided Catholicism: the laity and clergy were detached from one another. According to many Catholics of Newman’s day, only bishops, priests, nuns, and brothers are called to sanctity and to activity in the Church; everyone else is to essentially passive. Monsignor Talbot, an English contemporary of Newman’s, considered laymen only good enough “to hunt, to shoot, to entertain. These matters they understand, but to meddle with ecclesiastical matters they have no business at all.” Happily, Vatican II rejected this clericalism which would keep the layman ignorant servile. But how many real challenges and responsibilities has the layman been given in the Church in the 1980s? Being an extraordinary eucharistic minister at Mass is undoubtedly a privilege, how does it hasten the coming of God’s kingdom? Does it bring people into the Church? Does it stretch one’s mind and soul?